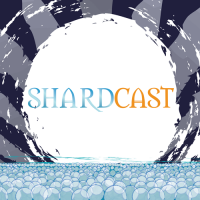 This week on Shardcast, we continue to talk about Hemalurgy and the new Hemalurgy table. This time we talk about bind points and blood! Fun! But, I mean, it is Hemalurgy. "This chart needs more blood." - Eric. 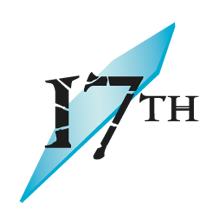 One last thing: Shardcast will now be moving to Friday releases (US timezones) from now on. My apologies! We have Eric (Chaos), Ian (WeiryWriter), Evgeni (Argent), David (Windrunner), and Matt (Comatose). I got the first WTCC on the first clue. Good job though guys! Clue 3: Literally yelled WHY IS NO ONE GUESSING HOID!? Let me help with the blood clotting. I have been an icu rn for several years. You have maybe up to 2 hours before the blood is separating on it’s own, I would say closer to an hour. When we are giving blood there are things the blood bank adds to the blood to stop it from clotting. That’s why it’s given with normal saline. But if I use lactated ringers instead of normal saline, there is a thing in the lactated ringers called citrate that will undo what the blood bank has added. With the citrate undoing what the blood bank did, the blood can clot just in the space from the blood bag through the in tubing to the patient. So if there is nothing to stop it from clotting, the blood will clot quickly. 1. Spiking the donor takes a "scan" of their *entire spiritweb*. The more/better/fresher the blood, the higher the resolution of the "scan". Thus, the heart is a very good place to spike someone. 2. The placement of the spike in the recipient is absolutely crucial, in that it determines which point on the spiritweb you're grafting. The spike holds all possible points, since it's a complete scan, but the point on the recipient is what determines which specific Connection you're trying to make. 3. The metal is also crucial, in that it is what channels the investiture between the two spiritweb points. You can't put a steel spike in a bendalloy bind point and expect it to channel the Sliding ability (although you might get a weird result if you used tin or pewter). Atium creates a superconducting channel to the point (especially if it is pure), and Lerasium, being what allows allomantic powers in the first place, would simply grant all of them no matter where you put it - although there's probably a "best" place on the recipient. This has probably been discussed or answered somewhere, but what happens when you take a spike and split it into two before spiking the recipient? So for an example, when spook gets spiked by the shard of metal that gets stuck in his body, could the remainder of the sword still have been used to spike someone or did spook basically use the power up when he was spiked? If you split a spike from one donor and attempt to spike two recipients, what would happen? My guess is that both shards of a split spike have the potential to transfer powers until whichever one spikes a recipient first (kind of like a schrodinger's cat situation). What are your thoughts? I think the important thing to consider is that hemalurgy steals the ability. So what I think it's doing when you Connect the two spiritwebs is that it rips that point out of the donor and grafts it on to the recipient web in the spiritual realm. Creating the spike makes the "scan" or "map" of the donor web, and in binding with the spike, you are Connecting the recipient's bind point with the same bind point of the donor. I think the way this works means you can only do it once per point on the donor, you can't share that specific point. I think you could, however, create a fully blooded spike, split it, and then bind to different points on one or more recipients and get the full effects. Although splitting the spike after the initial "bath" would necessarily weaken the scan, inasmuch as you're losing fresh blood when you do that. It would be more efficient to create multiple spikes from the get go. Effects is necessarily plural in this case. In addition, my thought is then, stab the Mistborn, have all 4 physical powers in the spike, split that spike into 4 pieces and then stab in the correct bind points so that you get all 4 physics powers (or respectively cognitive, spiritual or temporal). This would work right? I guess the question is, is one fully powered spike granting one power better/stronger than 4 partially powered spikes granting 4 different powers?